As we can’t rely on the sun to be shining all summer in Ireland, George Foreman has the ideal grill to ensure you can barbecue in any weather! 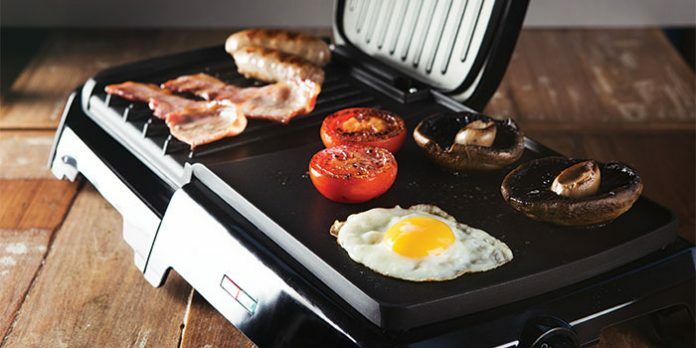 The George Foreman 10 Portion Grill & Griddle allows you to grill and griddle simultaneously and, with a four-portion grill and a six-portion griddle in one, it allows you to cook multiple portions at one time. With a perfectly angled grilling surface and a separate perfect-fit drip tray, grease is channelled away from your food, creating a healthier meal and making the washing up less of a challenge. We have one 10-portion George Foreman Grill & Griddle to give away; to enter, simply fill out the form below. Next articleWin a case of Black Tower Rosé.